Almost all hotels generally provide transport service to their guests. It is one of the most important services that are provided by the hotel. The concierge department basically handles this transport service. The transport supervisor or head driver report to the concierge department. The concierge department appoints a number of drivers under the head driver for performing the transport duties. There are various types of transport services which are provided by the hotel. Each driver is appointed and scheduled with each type of transport service according to his shifting. Driver Courtesy Coaches: Courtesy coach is a free service. This courtesy coach is assigned to pick up guests from the airport and drop the guests in their returning way. Courtesy coaches are available in the hotel parking area of any hotel. Any guest can take this service from hotel parking area with free of cost. The coaches have to do a recurring drive from the hotel various times to cover all flights during guests’ arrival. A busy hotel may have many guests every day to arrive through flights so the courtesy coaches are generally tied with busy schedule. If the guests have prior reservations then they will certainly get courtesy coach service. But if the guests do not have any prior reservations then they may have to hire the courtesy coaches. Many hotels have direct telephone number from airport from which the guests may make a reservation and get the coach service. Some airports also place the details description of hotel for the benefit of guests. Some hotels also place a coach schedule of their hotel which may helpful for the guests. Limousine Service: Limousine service is provided by the hotel for the VIP guests. Limousine is a very expensive and luxury car that’s why it is provided for only the VIP guests. Concierge department appoint a very skilled driver who has etiquette with conversational skill. The driver also needs to be well informed about the hotel that he or she able to answers all queries of guests. But this limousine service is not always free of cost, during reservation, the hotel ask the VIP guests for the limousine service. Staff Transportation: It is the duty of every hotel to offer staff transportation to the staffs. Staff transports are assigned to pick up the staffs from their home and to drop on their home to ensure their correct timing according to the shifting. Even some hotels also provide the accommodation service for those employees who are not local. 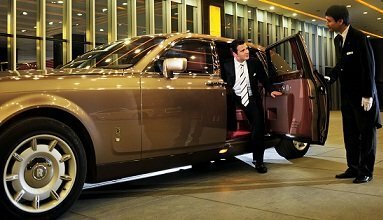 Valet Parking: Valet parking service is generally offered by the top hotels for the local guests during any large programs or any event. Transport section maintains well equipped parking area with skilled driver for valet parking. This valet parking is free for the guests. So the guests may give tips to the drivers for parking their cars. But some downtown hotels may face difficulties regarding valet parking service due to parking area limitations. In this case a valet parking employee park the car in the area which is slight far away from the hotel and record the car registration number on the tag and provide the counterfoil to the guests. The main tag is strung on top of the car keys which are uphold with at the valet parking desk in the porch. When the guest wants to leave then the guest submits the counterfoil to valet parking attendant to recognize his or her car and bring it to the porch. The valet parking attendant has to able and skilled to drive any type of car. City Courtesy Service: Like courtesy coach, city courtesy service is another free service which is offered by hotels. City coach service is assigned to take the guests of hotel to the city center. This type of service is basically available in those hotels which are located in the suburbs or in remote areas in order to resolve the distance problem from the hotel to city center. Generally hotel place the city coach service schedule in the hotel lobby that guest could be aware of the schedule. The driver of city coach service will spot the pickup points in the city at the time schedule of such pickups. In order to get the city coach facilities the hotel guests have to follow the time schedule. City Tours: City tours service is generally provided by the hotel for the tourist trips but it could also be provided by other reputed local travel agencies who offer good city tour packages. Here a hotel can charge everything and offer complete all inclusive packages to guest which should contain bus charge, tour guide and meals in selective restaurants. Ambulance Service: It is a very good transport service. Basically the high class hotels provide ambulance service with well equipped medical service to medical emergency of guests. Ambulance service is an integrated service of the medical emergency including telephone section, security, hospital, and house and lobby staff. In the top level, ambulance service is not only for the hotel guests, it is also available for the medical emergency of the hotel staffs. Hotels do not provide only transport service to their guests they also provide transport facilities for their executives. Basically Hotel makes available transport service to their executives for completing their official duties. For example if the General Manager can get transport for attending the official meeting or the financial officer also can get transport for performing the official tasks. Some hotels offer company car to their senior executives as a prerequisite for official purpose.